The Japanese punk rock movement known as Tokyo Rockers began in the summer of 1978. It incubated an independent music culture as well as a host of fascinating, individualistic musicians. One of the more striking units was the male-female duo Maria 023. NON played bass for them, and it was here that she first attracted attention. However, Maria 023 was short-lived, and NON would not reappear until the following year, August 1979, on stage at the legendary concert event "Drive to 80s". Her unbilled performance at the event consisted of several songs for solo bass and vocals, and her combination of intensity and a distinctly female emotionality made a striking impression. In the months that followed, NON continued to play solo and she became a pivotal presence among the female rockers on the scene at the time. Finally she shifted from solo to group performance, and formed NON BAND. After several member changes, the line-up stabilized into a unique trio with Kinosuke Yamagishi on violin and clarinet, and Mitsuru Tamagaki on drums. It was with this line-up that the group reached a musical peak. At the same time, the Japanese punk and new wave rock scene was moving in a new direction, as a second generation of artists appeared and mushrooming independent labels began to play an increasingly important role. I myself started a label called Telegraph Records in 1981 and worked hard on record releases and building a distribution network. Since starting the label, I had wanted to release a record by NON BAND. There were many vicissitudes before it could happen, but in February 1982 NON BAND's first album was released as a 10-inch LP on Telegraph Records, the label's fifth release. 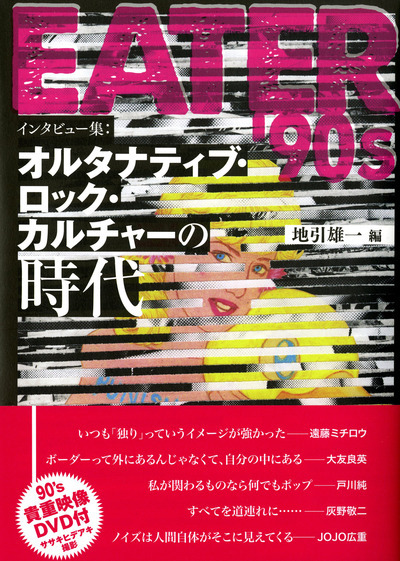 In the early Japanese indies scene, if a release sold 1000 copies it was counted as a significant success. 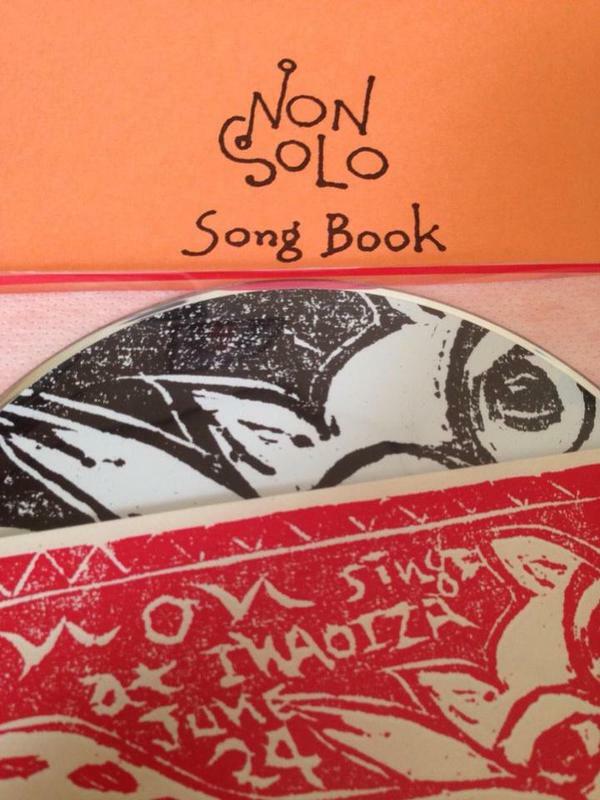 The NON BAND album went through several repressing and sold 2000 copies. The album was a hit and the band's critical reception and popularity suddenly took off. The shows that followed the release of the album were given a boost by the addition of two female rockers, the guitarist Kummy and keyboard player Mitsuwa. The group was reaching a real musical peak and everyone expected more great developments, but just six months after the release of the album the group would grind to a halt. Members quit the band one after another, and with no possible replacements to be found, NON herself faded away from the scene. NON BAND's career in the early Japanese indies scene was thus short-lived. But their sole album was reissued twice on CD, and remained popular with listeners. 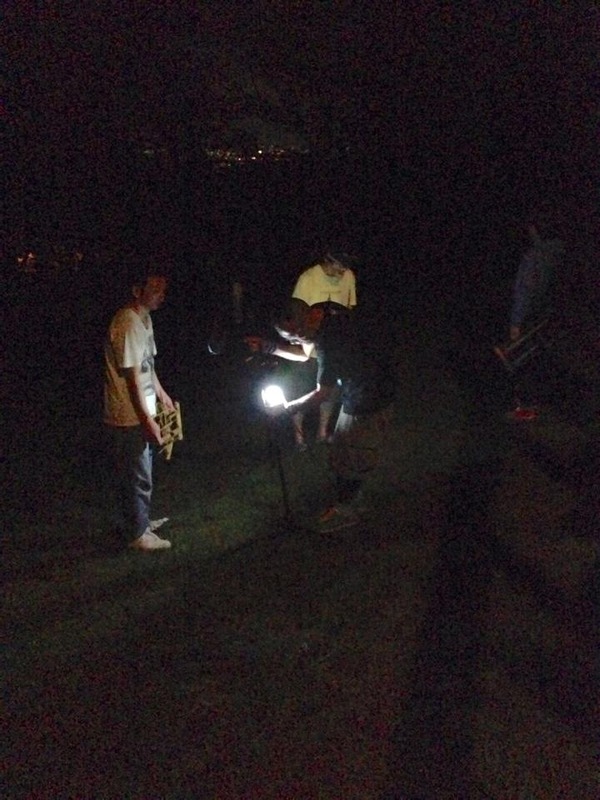 However, the group's history was to have a second chapter. NON ended up returning to her hometown, snowy Hirosaki in the far northern prefecture Aomori. There she raised two children and took over the running of the family business, an arts supplies store. Her thoughts turned once again towards music, and in 1999 she took up her bass again and began to sing. She invited two fabulous musicians, Keiji Haino and Tatsuya Yoshida, to Hirosaki, and performed together with them as well as solo. This marked the beginning of a new phase for her, and she played live in Tokyo and released a solo album, "ie". She got back in touch with Yamagishi and Tamagaki and reformed NON BAND. They added Emi Sasaki on accordion and began to play a handful of gigs each year, bringing a mature depth to their undiminished power and dazzling a new generation of fans. 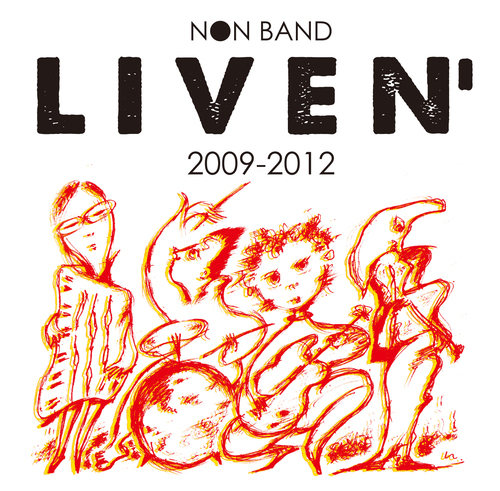 In 2012 the group released an album of recent live performances entitled " NON BAND Liven' 2009-2012". I released the album on the newly reanimated Telegraph Records. NON still lives in the north, in Hirosaki. The city is famous for its summer Neputa festival. The first track on this album, "Duncan Dancin'" is almost a theme song for NON BAND, but its rhythm is taken from the ohayashi music that is performed in this festival, as large floats and troupes of dancers wind their way through the streets. The title refers to the legendary dancer, Isadora Duncan. The image perfectly represents NON herself: Isadora Duncan dancing to the earthy rhythms bubbling up out of the north land. I discovered NON BAND at Forever Records in Osaka in February 2016 while I was on a short tour in Japan. Satoru Higashiseto the shop manager introduced me to a book entitled „Dokkiri“ which is a well-researched publication on the history of Japanese underground music from 1976 to 1989 along its political and social backgrounds. The self-titled album of NON BAND (originally released in 1982 on Telegraph Records) is only shortly described in the book but somehow the unusual and attractive artwork and the obscure band name somehow immediately grabbed my full attention. On the Internet I could only find two of its songs: "Duncan Dancin ́" and "Dance Song". Both of them sounded so unique and the productions skills seemed so different from anything else that I had heard from that period. After a number of well-spirited emails with singer NON and Jibiky (Telegraph Records), plans grew to reissue this wonderful production for the first ever time on vinyl and also on digital formats. The mastering and restoration process was overlooked and carried out by the experts, Calyx in Berlin. Since the original tape was not available anymore the reissue was actually mastered from a vintage mint copy, which I was lucky to find on Discogs. In order to achieve a meticulous sound quality we decided to cut the reissue version on 12" vinyl instead of original format of 10“. 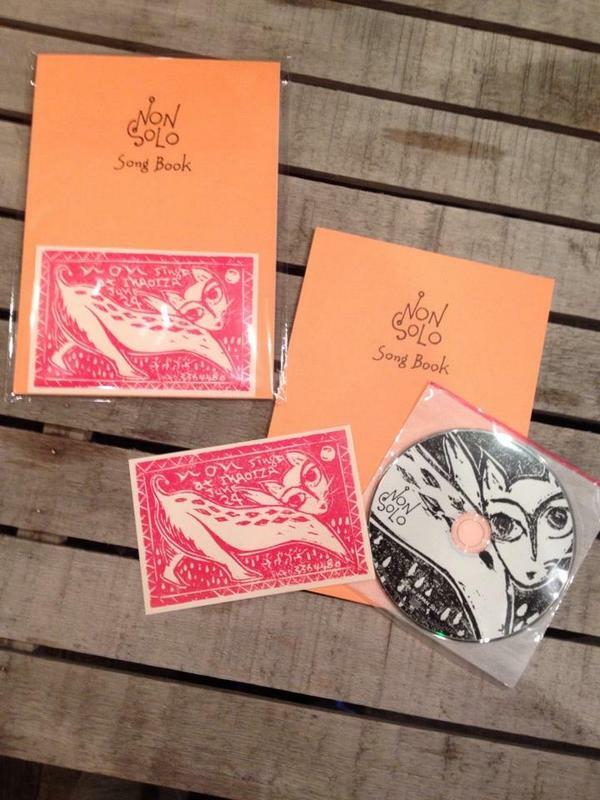 We reproduced the original cover artwork and added liner notes by Jibiky with unpublished photos of NON BAND. NON BAND 再発記念コンサート 4月9日 秋葉原 クラブ・グットマン !